Named after the Greek goddess of Earth. ‘Gaia’ derives from the ‘Rhythms of Life’ land art project – the largest contemporary land art undertaking in the world comprising 51 large scale stone structures/geoglyphs which has involved over 7,000 people in 15 countries across seven continents. 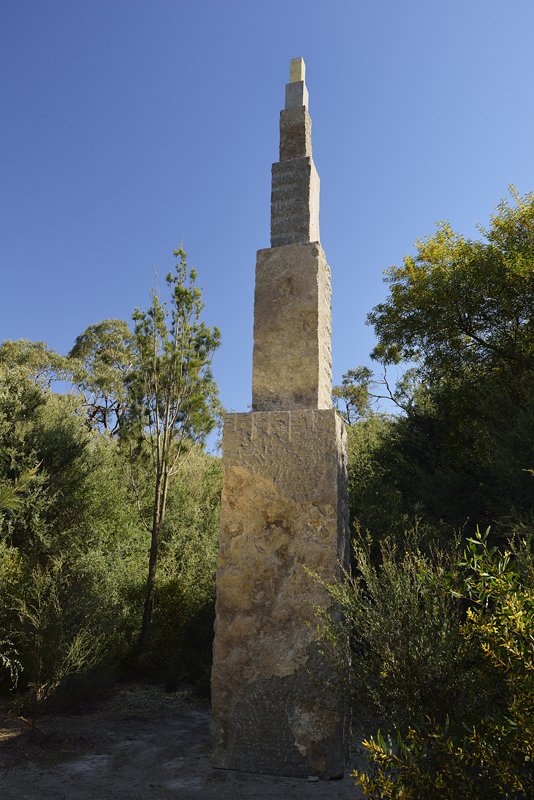 The Golden Ratio forms the basis of this 9 metre (29.5ft) high, six tiered stone column which reflects the message from the 23-carat gold leaf on the highest element. 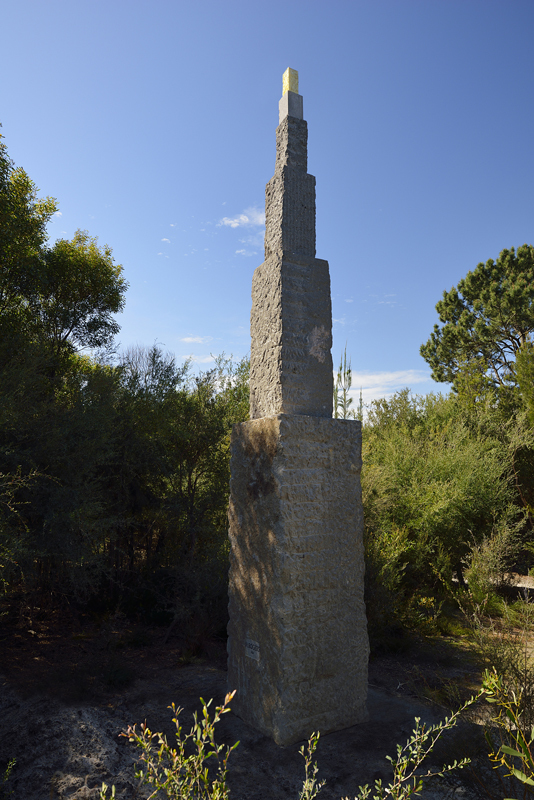 Finalist McClelland Sculpture Survey 2014. 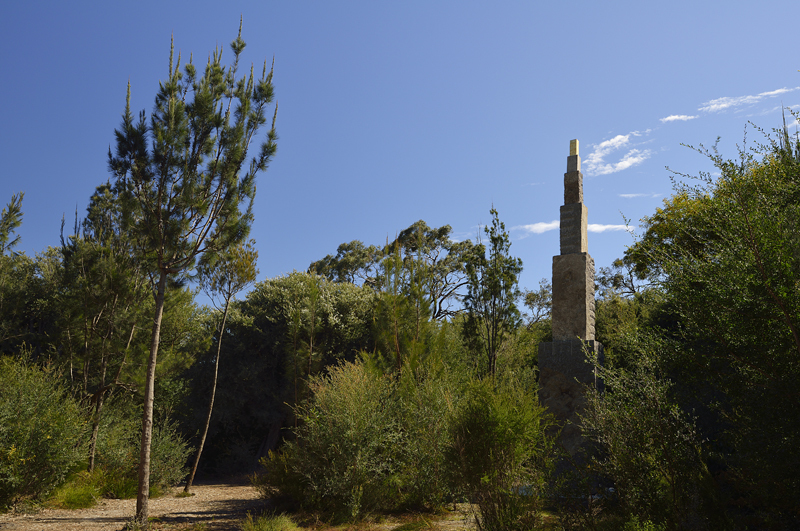 Permanent collection McClelland Sculpture Park+Gallery.